from Amazon.com - BUY NOW! Released on November 16, 2010. Released on August 24, 2010. Released on May 19, 2009. Released on September 12, 2006. Released on July 13, 2004. I first heard about Carbon Leaf in May of 2005. After hearing their music and reading a about the band online, I have become a big fan. If you have any comments or content suggestions for my fan site, please email me at dan@carbonleaf.org. © 2005-2008 CarbonLeaf.org • Email dan@carbonleaf.org with questions or comments. 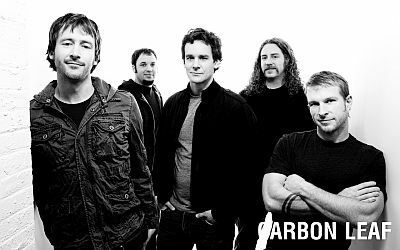 CarbonLeaf.org is not associated with the band Carbon Leaf, Vanguard Records, or any of their associates.